It is an outdoor music festival held in Olympic Park in Seoul. Variety of singers, from indie bands to rock bands, perform all day long. 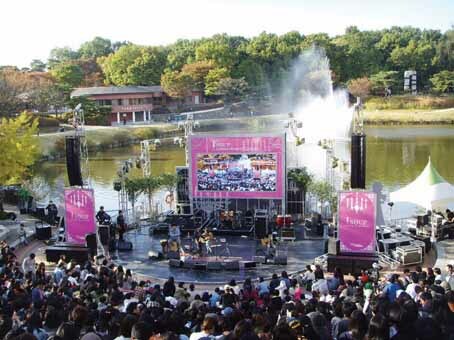 Performances are continuously held on five different stages at the same time and people can choose the performance they like. It is a popular festival among Koreans in their 20’s and 30’s. This festival is held in the wide spread Olympic Park where everyone can enjoy both music and the nature.